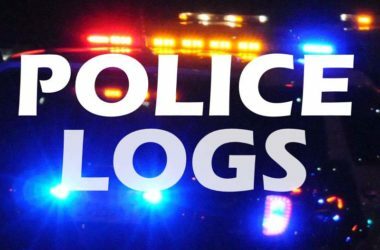 Latest police logs in Citrus Heights include reports of a homeless man “living in the 3rd base dugout” at a local park, a BMW being stolen while the vehicle was warming up, theft at a flower shop on Greenback Lane, and a woman reportedly seen walking on a residential street with a handgun. Monday, January 14, 2019: Total of 80 incidents listed. Incident report categories of note: 22 calls regarding suspicious activities, 15 disturbance-related, 10 homeless/transient-related, no grand thefts, 9 petty thefts, 3 vehicle burglaries, 2 assault reports, 7 collisions, 2 stolen vehicles, and no reports of domestic violence. 3:55 a.m., Suspicious Circumstances, Arborelle Apartments on Sunrise Blvd. A woman called police shortly before 4 a.m. and said she had been “hearing voices from inside and outside her apartment” for the past three weeks. 7:08 a.m., Stolen Vehicle, Dicus Ct. Police were contacted after a BMW was reportedly stolen while it was being warmed up on a dead-end court, off Lichen Drive. 11:37 a.m., Homeless Camp, Stock Ranch Nature Preserve. A homeless camp was reportedly set up in the Stock Ranch Nature Preserve, near the dead end of Stock Ranch Road. 12:28 p.m., Fraud/Forgery, Argo Drive. A woman told police that an unknown suspect had impersonated her and re-mortgaged her home twice. 2:08 p.m., Collision Non Injury, Calvin Drive. Police were contacted after a vehicle reportedly went through a fence and hit a parked vehicle, near Calvin Drive. 2:24 p.m., Disturbance Loitering, Citrus Heights Community Center. Staff at the community center reported that a woman was believed to be using drugs in a back bathroom. 2:32 p.m., Robbery, Sunrise Mall. A gold ring was reportedly taken from a JC Penny employee at Sunrise Mall. The incident was categorized as robbery, indicating the ring was taken from the employee by force or threat of force. 2:40 p.m., Suspicious Circumstances, Cook/Mariposa. A woman was reportedly seen walking on Cook Avenue, carrying a black handgun. 3:24 p.m., Reckless Driving, Auburn/Oak Grove. A woman was reportedly seen driving northbound on Auburn Boulevard with a flat tire. 4:02 p.m., Disturbance Loitering, McDonald Field on Old Auburn Rd. A homeless man was reportedly “living in the 3rd base dugout” at McDonald Field. Six others were also reported living in the baseball area. 6:19 p.m., Petty Theft, Habit Burger on Sunrise Blvd. A mother called police and said an unknown woman had just stolen her child’s toy crown from off her head at Habit Burger. 6:47 p.m., Burglary Vehicle, Black Bear Diner on Madison Ave. A vehicle was broken into outside Black Bear Diner, with a wallet reportedly being stolen. 8:34 p.m., Petty Theft, Walmart on Auburn Blvd. Police were contacted after a man reportedly filled a shopping cart at Walmart with $100-500 of merchandise and then walked out without paying.